play_arrow Play your playlist in an easy to use live-assist or in automatic mode. It gives the presenter a set of tools: segue-editor, quick starts, create own playlists and save them for later use or share them and many more. 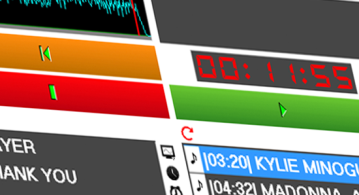 micIt takes only 4 keystrokes to add, record a voicetrack, set a overlap and finish recording. It runs fully independent of the playlist so you can make voice tracks and other adjustments while keeping full overview of the playlist. 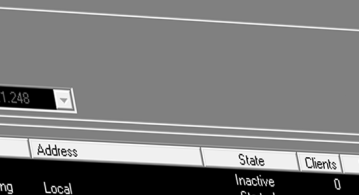 scheduleRadiohost has a set of advanced timerfunctions to control events: start, stop or overlap. If you're running a network, it is easy to synchronize the different stations to start/stop the commercial blocks at the same time. queue_musicBased on a set of rotations, schemes and criteria the system creates the playlist you always wanted. 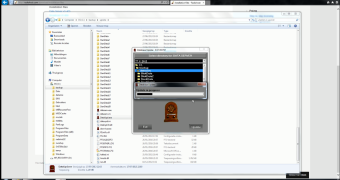 You can even choose to keep your current scheduler and import playlists from MusicMaster, Dalet, Selector or PowerGold. playlist_addEasy Spot is a small but powerfull trafficscheduling software. It is easy to manage customers, spots and contracts. 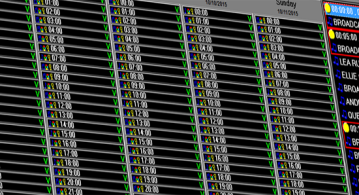 You can export the schedule to other automationsystems like Dalet, iMediaTouch, BASS and BSI. 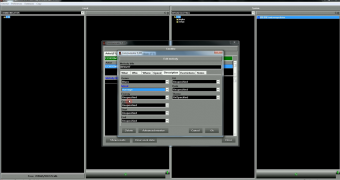 settingsWith several remote control options Radiohost integrates perfectly with your professional studio equipment. Control your playlist with triggers via mixers, satellite or remote studio. Log-export can feed your website, RDS or app. 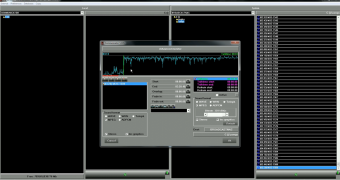 radioManage multiple stations from one place: stations can share the same music database and playlist, have a mix of shared and separate commercial blocks or every station can have his own music library, playlists and commercial blocks. 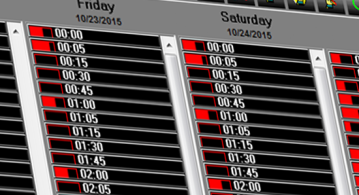 The radiohost system have remarkably helped us to improve the quality of our evening, nights and weekend hours. The voice track function enables us to have our top hosts on air 24 hours a day. In the day hours our hosts can easily schedule the playlist 10 or 15 minutes ahead and hereby gain the resources to track a listener, preparing the news etc. Reporting music royalties, is no longer a problem. 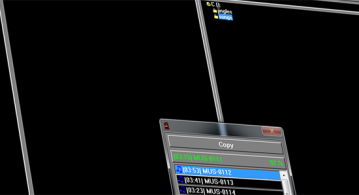 The system enables us to print out hourly reports of the log. In opposition to many other systems the radiohost system is not dependent on specific hardware and we have been able to choose the sound cards that fitted our requirements and budget. The new mpeg 3 support, virtually expand our disc capacity 2 to 4 times and now we have a huge part of our record collection in the system. It's a definite must for any station. It's easy to use, far cheaper than the other makes in the world and the best part, it does exactly the same... simply great. The first time I was shown Radiohost I knew I needed it, and I have not been disappointed. The various modules save significant amounts of time and money in our day to day operations. Our presenters have adapted easily to the Broadcast interface, and it has definitely assisted us in improving our quality of programming. Radiohost definitely bridges the gap between community and commercial stations. Six months ago we where looking for a system to replace our Wavestation and we tested a lot of the popular systems available on the market. Most of the systems where not very user friendly and they did not perform as well as we had expected. By chance we discovered the Radiohost system and this was a pleasant surprise. It had all the features we needed and it was very user friendly. Most of our DJ's are not very computer minded but a short introduction was sufficient for most of our DJ's. Some of the first comments where "This is very easy to use, much easier than Wavestation" and "Wow, this looks easy..." We where use to poor service from our old supplier so we where a bit anxious at this point. However, I must say that we have experienced the best service we have ever had from a software company. We had some special needs for Heavy Rotation and Easy Spot and these were implemented in a short while, fast and effective. I can highly recommend the Radiohost system to all stations who need a system that are fully equipped with functionality and which is still cost effective. In my opinion the Radiohost system is a strong alternative to systems like the Dalet system and you can still keep the budget. 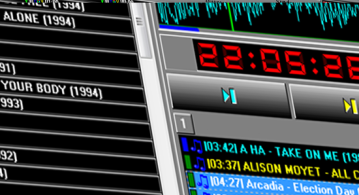 Radio Sydhavsoerne have been using the Radiohost system since 1997 and it is not unusual that the system is broadcasting more than 12 hours non stop. Our experience is that the Radiohost system is very easy to use. Now we can voice track a program in half the time. We can add speaks and use it live. We can also add sound effects, etc. Our news reporters are doing their own editing, they don't need a technician anymore. New DJs learn to voice track before they learn how to broadcast live. We can change the schedule at any time, if we need to make changes to a preproduced program. We have better use of our best skilled hosts, as they can preproduce a program whenever their schedule allows it. It is a great tool for live broadcasting too. The system is very stable when it comes to commercial booking and music scheduling. In the begin of 1999 we started to search the market for distributors of radio automation systems. After reading a lot of system descriptions and testing just as many demo installations, we finally chose the Radiohost system. 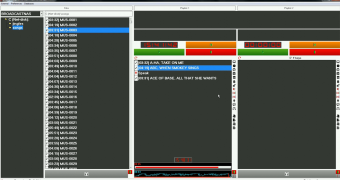 We are completely satisfied with the system as it is easy to start automation with the Radiohost system. If you look at the price it has no serious competition at all. I have no doubt that the Radiohost system is the absolute best buy and I can highly recommend it to other stations. On top of it all we are very satisfied with the service provided by Radiohost, this goes for the after sales services as well. I have seen a lot of booking programs in my 13 years in the business and I must say that Easy Spot is the best I have ever seen. Easy Spot is easy to use for first time users and it will meet the needs required in even the most advanced bookings. After a testing Easy Spot in a few days, we decided to convert the data from our old system to Easy Spot. The old system had a lot of advanced features but Easy Spot is far superior in the areas of flexibility, ease of use and data security. One of the top most advantages is to have Easy Spot take two product codes and a speaker into account – NOT just between the blocks but inside the commercial block or stop set. The majority of the other programs I have seen will only allow a single product code and a speaker in each block. With this feature you can make a block like this: Auto dealer – Kitchen equipment – Restaurant – Auto dealer. Equivalent product codes will be placed as far from each other as possible and you can setup the minimum distance allowed. The restrictions you have made in the setup can easily be overruled and our booking is not controled by the application programmers. The integration to the other modules in the Radiohost system makes it possible to use the spots as soon as they are booked and you can make a last minute booking before going on air." Broadcast is highly user friendly. People who normally run away screaming when they see a computer, is USING this system after a few minutes of instruction. Communicator makes it easy to manage files and directories and you will learn how to use functions like talktime, overlap, normalize, speak, etc. in no time. We checked out a lot of systems before we purchased Radiohost. We could not find a system that can handle all the things we can do with Radiohost. The system can handle whatever we can dream of, using it live or automated. It's easy to use, and for such a low price, it must be the best buy available on the market today.